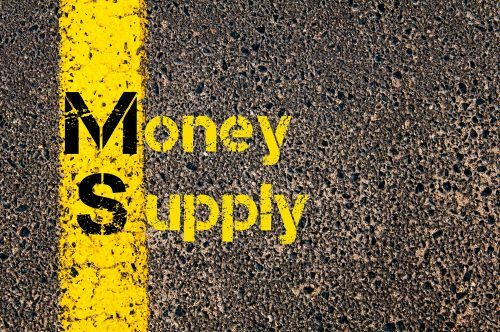 What is the Money Supply? The money supply is the stock of money in the economy. It is determined by the uses to which certain physical and financial assets are put. For example, in many cultures in the past, shells have been used as money. In those cultures, the shells thus used would have formed part of the money supply. Therefore, any investigation of the money supply must consider the functions that money performs in the economy. Money performs a number of roles in our economy. At least four can be identified. Money functions (i) as a medium of exchange; (ii) as a unit of account; (iii) as a store of value; and (iv) as a means of making payments inter-temporarily, i.e., over time. Its most obvious role, the one everyone is familiar with, is as a medium of exchange, the role it performs, most notably, in commerce. The importance of money as a medium of exchange has given rise to speculation that its origins stem from that role. In the absence of money, an economy would have to resort to bartering and face the problem of the “double coincidence of wants.” For example, a farmer who wanted to consume meat would not only have to find a butcher but one who wanted wheat. However, in a money economy, all he need do is sell his wheat and use some of the proceeds to purchase meat. As such, money allows a wider range of transactions than would otherwise be possible. Others (Innes, 1913) have suggested that money first arose to facilitate inter-temporal transactions. The farmer must eat his meat today if he is to survive but his crops may not be ready for harvesting right now. He can, however, issue an IOU to the butcher, i.e., a promise to pay at some future time. If the farmer is known as an honorable man, the butcher can use his IOU to pay the shop for his wife’s new clothes. This hypothesis has some credence, since most (over 90 percent) money today is a form of debt. Money is a store of value, but for individuals only and not for the economy as a whole. For an individual, money is simply another form of wealth. Having a house worth one million dollars is equivalent to having one million dollars in a bank account. Moreover, the role of money as a store of value derives from its function as a unit of account. A unit of account is a measure that allows the comparison of value. Historically, many commodities have been used as money, for example salt. Some historians, citing Pliny the Elder, claim the term “salary” to be derived from the Roman word for salt, although others have disputed this. Regardless, metals have proved to have many of the characteristics required of money. They are durable and easily divisible into amounts that are portable. Of all the metals used for money, none have assumed greater importance than silver and gold. No doubt because of their limited supply and physical characteristics, there has always been an intrinsic demand for these two metals. In almost all cultures, they are used for jewelry and ornamentation. In addition, gold possesses unique properties that add to its mystique. Not only is it immutable, i.e., does not tarnish, but it has a high degree of malleability and ductility. Its malleability means that one ounce of gold can be beaten into a sheet measuring 100 square feet. Its ductility allows one ounce to be drawn into approximately 50 miles (80 kilometers) of thin gold wire. From the earliest times, in most cultures, silver and gold in the form of coins were used as money. This historic use of silver and gold makes some argue that only silver and gold are “real” money. However, whether or not a thing is regarded as money depends on the function it performs rather than what it is. A better understanding of what the “money supply” consists of may be gained by following its development over time. By the medieval period, most money consisted of coin made from silver or gold. Thus, the money supply was mostly coin, at times supplemented by bullion, bills of exchange and other valuable commodities. A bill of exchange is an order, in writing, requiring payment to a specified person or bearer at a specified time. A check is a bill of exchange. In the West, paper money was derived from the use of silver and gold. Owners of these precious metals would leave them with goldsmiths, whose well-fortified premises and vaults promised greater security. In return, the goldsmith would issue a receipt to the owner. If someone had to be paid, the owner of the gold would give that person the goldsmith’s receipt or would write instructions to the goldsmith – a check – who would release the required amount of gold. Very often, for security reasons again, the payee preferred the goldsmith to hold onto the gold. Therefore, the goldsmith would hardly ever have to dispense gold. All he need do was keep a record of transactions. This allowed the goldsmith to issue additional “receipts” to those who wanted to borrow money. By the late Renaissance, the issue of “receipts” or “notes” by goldsmiths had become accepted. Together with coin, such notes now made up the money supply. The first such notes issued under the authority of a European government were those issued by Stockholms Banco of Sweden in 1660. Other European governments followed Sweden’s lead, allowing banks in their countries to issue notes, which naturally took on the name of “banknotes.” Generally, banknotes were redeemable in coin. For example, until 1971, the U.S. dollar could be exchanged for gold, on demand. To a large extent, at this point, the money supply would have consisted of money issued by the government or a central bank, which is why it is sometimes referred to as central bank money. Although, currency in the U.S. today is not redeemable in gold, it is backed by the “full faith and credit” of the U.S. government. The U.S. dollar has been declared by fiat (formal authorization) to be legal tender by the federal government; hence it is known as fiat money. Over time, as public acceptability grew, banknotes, particularly those issued by a central bank became trusted in their own right. Very few members of the public sought to redeem them in gold. Moreover, the use of checks to transfer cash in the bank and make payments developed and increased. A corollary to this was that a bank was only having to pay out part of the cash it held in its vaults. This allowed the bank to extend loans just as the goldsmiths did. To do so, a bank would record the transaction by opening a “bank account” for the amount of the loan. The borrower could then withdraw banknotes against the balance or make payments by way of check. In effect, the bank account had become a medium of exchange. And since it was not opened to record a deposit of cash or gold, it was actually new money. By making a loan, the bank had increased the money supply. The money supply now consisted of coin, banknotes and bank accounts. However, unlike the coin and banknotes, bank accounts were entirely a creation of the commercial banks. The way that depositary institutions create money is usually explained in economics texts as giving rise to a fractional reserve banking system, an extension of the concept that made it possible for goldsmiths and banks to make loans. If only a fraction of funds – gold or cash – was being withdrawn, additional bank accounts could be opened for those who borrowed from the bank. To ensure that adequate central bank money was on hand to meet demand from the public, a central bank would impose a “reserve ratio” on banks. A reserve ratio of 10 percent meant that a bank’s reserve must never fall below 10 percent of deposits. In theory, this would allow a bank to increase its lending by $10 for every $1 it received on deposit. Thus, a fractional reserve banking system gives rise to a money multiplier, which works as illustrated below. After someone deposits $100 in Bank A, the bank must retain $10 to comply with the reserve requirement of 10%. This allows it to lend $90, which it does. The borrower deposits the funds at Bank B, which subject to the same reserve ratio, must keep $9 to back the deposit of $90. Bank B goes on to lend out $81, which ends up in Bank C. This process is repeated throughout the banking system, eventually resulting in an increase of $1,000 in the money supply, of which $100 is central bank money and $900 is money created by the commercial banking sector. D = C.(1/R), where D are deposits, C is central bank money (currency) and R is the reserve ratio. In our example above, deposits (D) = 100. (1/0.1) = $1,000. It’s possible the banking system may have worked that way in the past. However, leading authorities from the Bank of England, the European Central Bank (ECB) and the U.S. Federal Reserve System have indicated that that is no longer an accurate description of how money is created. Rather, banks extend credit and make loans to creditworthy borrowers and the central bank provides the reserves required to meet the demands of the public. Here is an excerpt from a paper presented by someone who should know, Alan Holmes. Mr. Holmes, a Senior Vice President at the Federal Reserve Bank of New York, was responsible for the creation of central bank money in the U.S. for 14 years. M1 is made up of notes and coin and several other financial instruments that the general public may not consider to be money. However, the Federal Reserve includes them because they are used as a medium of exchange and thus, on that account, perform a monetary function. Consequently, M1 is composed of currency in the hands of the public, checking accounts at commercial banks, deposit accounts against which checks can be written, and traveler’s checks issued by institutions that are not banks. Current information on M1 can be obtained from FRED – Federal Reserve Economic Data – from the Federal Reserve Bank of St. Louis. M2 is a broader measure of the money supply than M1. It counts as money not only those financial instruments that generally act as a medium of exchange but also act as a store of value, another important function of money. Therefore, M2 includes M1 plus three other types of financial assets. These are (i) savings deposits, including money market deposit accounts; (ii) fixed deposits less than $100,000; and (iii) and retail money market mutual funds. Current information on M2 can be obtained from FRED – Federal Reserve Economic Data – from the Federal Reserve Bank of St. Louis. M3 consisted of time deposits $100,000 and over, repurchase agreements (RPs) larger than $100,000 and longer than one day (called term RPs), and institutional money market mutual fund accounts. Sometimes, M0 is used to denote central bank money, which consists of coin and currency in circulation, cash in bank vaults, and balances held in reserve accounts at the central bank by commercial banks and other depository institutions. In the U.S., M0 is called the “monetary base (MB).” Since March 2006, the Fed has stopped releasing information on M3, since “M3 does not appear to convey any additional information about economic activity that is not already embodied in M2… ” The money supply measures are meant to reflect differing roles of money; MI measures money used as medium of exchange, while M2 measures money used as store of value. The charts above show the two money supply aggregates. The stock of money in the economy – the money stock – changes from moment to moment, as money is created or destroyed. The aggregates – MB, M1, and M2 – go up or down as their components are increased or reduced. The monetary base (MB), for example, varies as the Federal Reserve buys or sells certain assets, such as Treasury securities, while MI varies as loans by depository institutions – commercial banks, savings banks and credit unions – are made and paid off. Generally, the money stock rises as the economy gets bigger. It has grown by over 800 percent since 1980. The nature of money has changed over time. In ancient times, it was some commodity that had intrinsic value, such as salt, silver or gold. Today, it is mostly entries in the ledgers of depository institutions. With the advent of cryptocurrencies, our measures of money supply are likely to be very different in the future. 1. Which of these best describes the functions of money? A. (i) a medium of exchange; (ii) a store of value; (iii) a unit of account; (iv) to facilitate deferred payments. B. (i) a unit of account; (ii) a medium of exchange; (iii) to pay for goods and services (iv) a store of value. C. (i) a medium of exchange; (ii) a store of value; (iii) to avoid a double coincidence of wants; (iv) to facilitate deferred payments. 2. Which of these best matches the money aggregate to a function of money? 3. Which of these best explain the monetary aggregates? A. M1 consists of notes and coin held by the public, accounts on which checks can be drawn and traveler’s checks. B. M2 consists of M1 plus savings deposits and accounts held by the Fed at commercial banks. C. M1 is made up of demand deposits and savings deposits held by the public. D. M2 consists of all cash in circulation plus money market mutual funds.